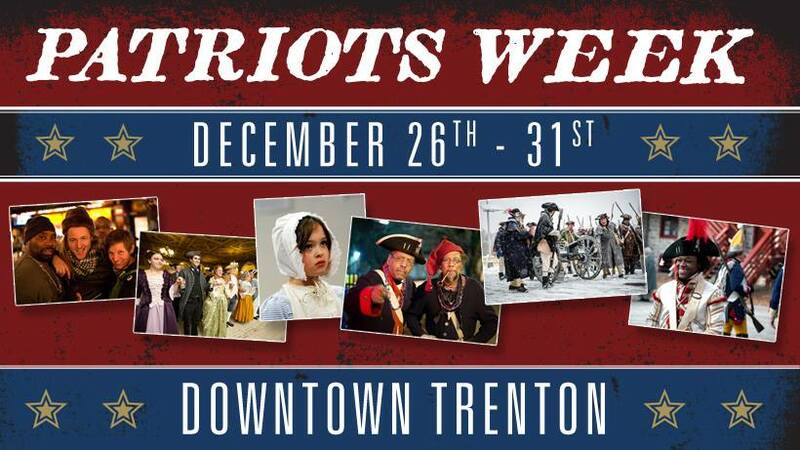 Each year New Jersey’s Capital City provides the unique opportunity for local residents and tourists to experience the events that shaped our nation during Patriots Week, December 26-31, 2018 (www.patriotsweek.com). From battle reenactments, planetarium shows, lectures and historic tours, Trenton landmarks will take you a step back in time, showcasing their colonial roots. 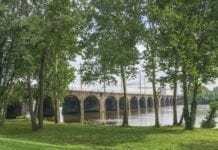 Trenton, a Crossroads of the American Revolution National Heritage Area, is located in the I-95 corridor between Philadelphia and New York. The activities are supported in part by the Old Barracks Museum and Trenton Downtown Association (www.trenton-downtown.com) whose charge is to promote economic growth, arts, history and economic development in Trenton. most decisive battles in the Revolutionary War. Purchase tickets at www.patriotsweek.com. 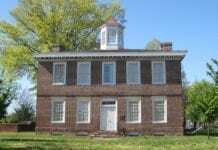 Trenton’s historic locations and buildings will be open for tours throughout Patriots Week, including the Old Barracks Museum and the 1719 William Trent House Museum (the domicile of the man the City was named for.) For those more interested in trekking on foot, join Ralph Siegel, of Trenton Battlefield Tours, who will lead a 10-block interpretive walk that narrates the minute-by-minute events of the Battles of Trenton. Check for schedule, location and fees at patriotsweek.com. Ibn Sayyid & Sojourner Truth, 6 pm. The second installment of the series is on Saturday, December 29th and will feature the life of Bilali Muhammad, 4:30 pm. Both events held at First Presbyterian Church of Trenton, located at 120 East State St, both events are free. 4. See the Sky in 1776! – The New Jersey State Museum will celebrate the city’s history by hosting holiday planetarium shows featuring constellations and planets that occupied the sky when George Washington crossed the Delaware. Cost: $7 adult, $5 child. Visit www.state.nj.us/state/museum/ for dates and times. 5. Children’s Fun – Puppet Show – A “mini” historical look at some amazing American history presented with marionette and rod puppets and lots of help form the audience! The show includes live music, large puppets and props, and plenty of “revoluting” action at Warren Street Plaza, 101 North Warren Street at 12 p.m. Free. Visit www.barracks.org/puppet-shows.html. 6. 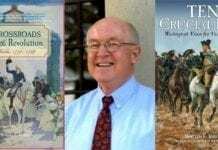 Insightful Lectures – The Trenton Free Library presents Rand A. Mirante, lecturing on “A Fine Fox Chase: From Long Island to Prince Towne, 1776-77” on Dec. 27, 5:30 p.m. Visit The New Jersey Freemasons Grand Lodge Museum, and History Committee presents a lecture about Brother David Brearley the most important founding father that we don’t know about on Dec. 28th at the Historic Trenton Masonic Temple from 4 p.m.
7. Revolutionary Pub Crawl – Presented by Trenton Downtown Association on Dec. 26 a period pub crawl of downtown Trenton watering holes and restaurants. Colonial dress encouraged, best dressed wins prize. Check www.patriotsweek.com for the schedule. No charge to attend; buy your own drinks and food.